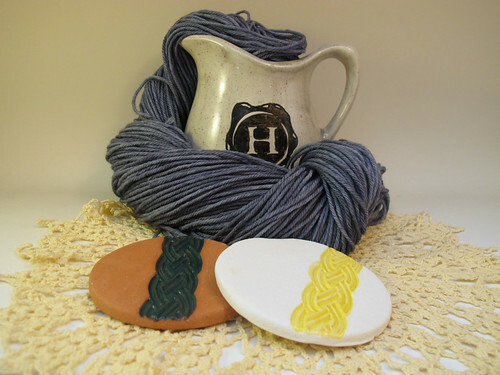 I was getting ready to write up the July club blog post, and I realized I'd never written June! 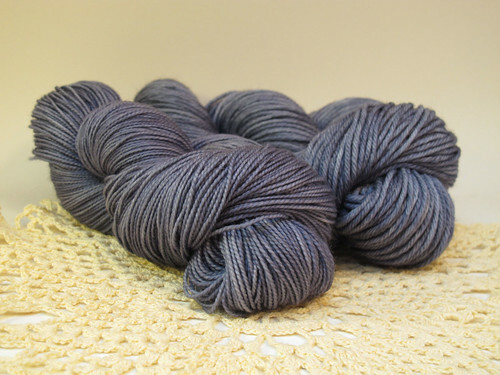 June's colorway was Gleipnir. What’s that? You’ve never heard of it? I did say I was going for obscure, didn’t I! Let me tell you about Gleipnir. Fenrir (also called Fenris) is a giant wolf, and the son of Loki. It was told that he will kill Odin during Ragnarok (and in turn be killed by one of Odin’s sons). Because the gods knew and believed in this prophecy, they tried to bind and fetter him so that he could cause no harm. The first fetter, Leyding, Fenrir snapped easily. The second, Dromi, was harder to get out of but he managed. So… it was back to those magic dwarves! The dwarves made Gleipnir, from six ingredients: the sound of a cat’s footfall, a woman’s beard, the roots of a mountain, bear sinew, fish breath, and bird spit. Fenrir, who had taken the first two as a challenge to his strength, did not like the looks of this third binding. To keep the gods honest, he had the god Tyr put his hand in Fenrir’s mouth (which Fenrir then promptly bit off when he found he couldn’t escape from Gleipnir). Fenrir will remain bound by Gleipnir until Ragnarok, at which point he will escape and kill Odin. If you opted for sock, the yarn was Andre, an 80% Superwash Merino, 20% Nylon blend which gets 6-8 stitches on a US 0-2. 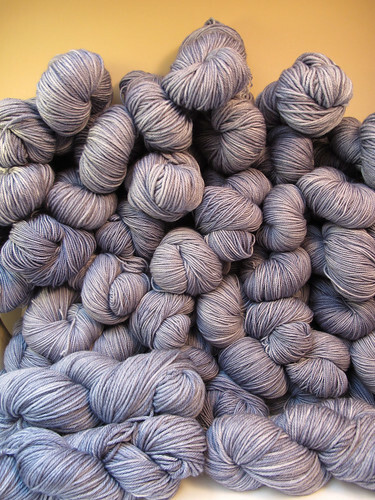 If you opted for Worsted, the yarn was Tepper, a 100% Superwash Merino that gets 4.5-5 stitches to the inch on a US 7-9. 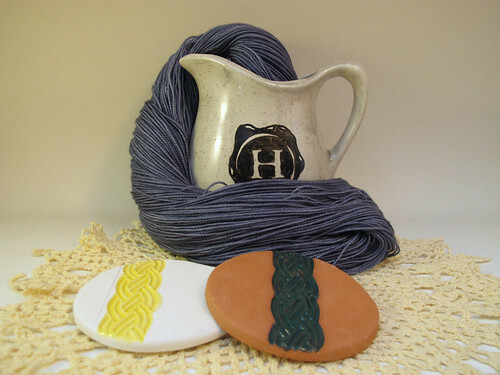 The swag this time around were coasters that I made myself, with a design inspired on a lot of the trim I see on the costumes while watching the TV show Vikings. And now, because I did remember to take one picture before I got everything wrapped up…. here are all 48 skeins! PS. Sad you missed out on yarn club? Me too! But the next round is now open, and will be until the end of August. The theme next time around is Fantasy Literature, and you can read more about that here.